Sequestered Gore satellite apparently not affected by 'sequester' | Watts Up With That? In 1998, Gore, then vice president, proposed the idea of a satellite that would head nearly 1 million miles out in deep space in a special gravity balancing area between Earth and the Sun. The satellite would gaze at Earth, beam down a continuous picture of our planet and take what scientists said was needed climate change measurements. It originally was named Triana after the sailor on Christopher Columbus’s crew who first sighted land in the Americas. NASA later changed its name to Deep Space Climate Observatory or DISCOVR. But it often got called GoreSat by opponents who called it an expensive screensaver for the vice president. Al has claimed to be American technology’s biggest boon (invented the Internet donchya know) yet was almost solely responsible for the Triana spacecraft (aka GoreSat in some circles now known as DSCOVR). The only spacecraft conceived without a mission — in a Lagrangian orbit no less. Al’s idea essentially: we should have a camera in orbit constantly looking at the Earth. You should have seen the scrambling to find things for it to do. The final mission instrument complement was all after the fact add-on. When it comes to technology I think Al is clueless. What misleads Al isn’t the “consensus” so much as belief in his own ability to forecast the direction of the wind. Disclosure: I worked on Triana. Given that it is now more than a decade old, I wonder if the technology is even worth launching? The satellite’s original purpose was to provide a near-continuous view of the entire Earth and make that live image available via the Internet. Gore hoped not only to advance science with these images, but also to raise awareness of the Earth itself, updating the influential The Blue Marble photograph taken by Apollo 17. Yeah, “expensive screensaver” about covers it. The National Oceanic and Atmospheric Administration would manage the DSCOVR mission as an operational sentinel to give notice of approaching solar storms with potentially calamitous consequences for terrestrial electrical grids, communications, GPS navigation, air travel, satellite operations and human spaceflight. 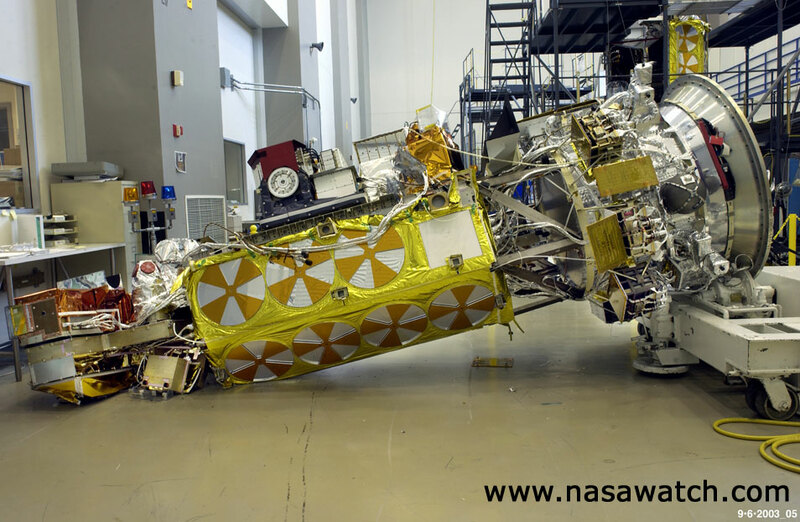 NASA’s Advanced Composition Explorer, launched in 1997, is the only spacecraft currently providing short-term warnings of geomagnetic storms. ACE is also stationed at the L1 point, giving forecasters about a 40-minute warning of approaching solar events that could disrupt life and economic activity on Earth. ACE is operating 12 years beyond its design life and could fail at any time. Replacing ACE would be of value, the question is will this repurposed spacecraft do the job adequately? I don’t know… the look of that thing and the mention of Al Gore’s name, the first thing that popped into my head was Dr. Smith on the old TV series “Lost in Space”. Is it still carrying decade-old instrumentation? Given its vintage, it’s probably running a customized combination version of Windows CE, Me, and NT otherwise known as CEMENT. Oddly, this is the one time I agreed with the Masseuse Client. I wished this sat had been launched and used for screen savers. I always wanted that view. Gore wants it named “Happy Ending”. What kind of idiocy is this! We live on the darn thing! It takes pretty pictures from 1 million miles away? Make it a manned mission, and a modest proposal as to who to put aboard it springs to mind…. The only Happy Ending possible here is if Al Gore gets launched with his satellite. Al Gore is a climate con artist. He has made hundreds of millions from this weather fraud. Takes oil money, born from oil, buys multiple mansions (one with 6 fireplaces), shredded and sold tobacco, took campaign contributions from BIG tobacco while his sister was dying from lung cancer, likes massages, invented the internet, flew in a private plane etc. Call it an ad hominem, I don’t give a batshit. He deserves worse than my ad hominem. We can launch an obsolete satellite with no purpose but we can not let kids visit the White House or put a needed carrier battle group into the Indian Ocean. Just who are the fools who are in charge? How many kilopixels is it? Bring back the “Flying Toasters.” They were fun to look at, would be far cheaper and simpler to launch into space, and exactly as useful to science. Actually, the idea of having satellites in Lagrangian orbit is not such a bad idea if one wants to settle the CAGW issue by direct measurement rather than models, loud screaming and hand waving. To find out if the Earth is warming, cooling or is in thermodynamic equilibrium, all one has to do is to measure the total incoming solar radiaton (easy) and compare it to the outgoing (difficult). But it is well within our capabilities to do exactly this, and it would give a definite, empirically sound answer to the question whether the energy balance is positive or negative, and thus if we’re headed for a better climate or a new ice age. You would need more than one satellite, though, but compared to the cost of the current CAGW circus it seems like petty cash to me. For some reason, this direct measurement thing is out of fashion and this data is provided by…can you guess it?..,modeling! Based on spot data from sats in close Earth orbit. It’s a bit sad, since the direct measurement could settle the part of the climate debate concerned with the question whether the Earth is currently warming or not in the classical, traditional scientific method way. Legacy back scratching.. Best to blast off any solid evidence of the Global warming scam, for fear that it will end up in the front lobby of some right wing think tank..
Its a loose end that has the potential to cause the Dems some embarrassment so Obama will update it and launch it.. They may even rig the launch to blow up so they can be done with it..
Really its snowing in April.. Its gotta go..
Close the peoples house from those who believe that history is important and then spend money foolishly on feel good crap? Would some one please place a boot where there heads are… PLEASE!!!! Put it in an orbit around the poles. we can watch the making of snowball earth live! In any other case we can at least see the real ice extent and the south pole will no longer be hided. This satellite will be the nail we need to bury AGW. How ironic that Al was the mastermind of it. LOL – you do realize no matter what data it returns, said data will “prove” whatever its backers want proven, right? …I always wanted that view. But of course, it wouldn’t be your money, would it? A long time ago, but it could never be long enough, I went out with this young woman. Lower your standards, everybody said. So that I did. To give you an idea; I was resolute in evading giving her my home address. I mean, I was resolute. She’d ask for it and I’d come up with one excuse after the other. I mean, I was genuinely afraid of her, and I was terrified of the prospect of her having that knowledge. I don’t know, but I have a very creepy feeling that this woman is the managing director of this program. Agree with Flashman. Better measurements will be worth it. I hope it supplies them. But will this advance Muslim Science? NASA must remember its priorities. I am disappointed in the lack of positive response to this satellite. It may not be a totally good idea, but perhaps we could begin modeling the clouds if we had better data like we could get from this type of input. By the way, people, ad hominem remarks are a big turn off. Yeah, we can monitor the clouds sooo much better from a million miles away than from lower orbits where we already have weather sats. Genius! I can see earth from space anytime I want on Dish network, they have a live feed from their sat. I’m betting one of Gores buddies or companies has an interest in this bird. It looks a bit like a dalek to me. I bet if it blacks out (ceases to funtion), it’ll be blamed on global warming. Erm, let’s get some perspective here. $35 M is conservatively 3-4 days worth of the military Aid given to Israel unconditionally so really it is not such a big deal in the context of government spending of your hard earned tax dollars. After reading the AP story, I take back my initial snottiness. That is a warning system of value and updating is probably a good idea. Severian: You don’t want to “monitor clouds”, you want full spectrum data on total radiation FROM Earth, reflected light and IR. And you want this for the whole globe, thus more than one sat. Once you have this, there’s no modeling or wussname needed. You just compare it to incoming radiation, and you have a nice empirical data set based on actual measurement. The whole point is that you don’t have to bother with details, such as clousd formation. You measure the energy balance, and thus the resulting temperature trend directly. Not fashionable, I know, but pretty clever all the same. In real science the raw data is the holy grail. You always want more, and above all, more accurate data. This is what makes the criticisms of Anthonys work so weird. You _always_ want to improve the quality of your measurements. The politics come later, if at all. If you measure temperature and have a badly placed thermometer, you FIX IT! You do not apply tweaks and adjustments that are “as good as” the real data. You improve the quality of your measurements as far as you possibly can, THEN you do whatever tweaking you must, if neccessary, and go from there. Improving the quality of raw measurements is ALWAYS a good thing(tm) in science. Within the realm of the scientific method it is absolutely and objectively not only good, but necessary to achieve meaningful results. So Anthonys work on improving station quality should be lauded on that basis. Period. The ad hominems and other nonsens are IRRELEVANT. Not just tasteless and wrong – they don’t matter! Raw data is data, and it’s as holy as anything gets in science. Improve it, and you do good science. Claim that data quality don’t matter and you’re not really doing science at all. The satellite has probably been updated with warmist code to “adjust” raw data. Very sad you felt the need to have a go at JD…verry sad. ANYTHING to do with Al Gore, I don’t trust. Meanwhile, haven’t we spent enough on global weather=climate concerns? They might claim the satellite is really for something else, but I don’t even trust them on that. You can bet once it’s out there, they’ll say, “Oh, look, you can see the clouds from here. Let’s model that data.” And they’ll get right back to building alarm with “new” findings horrifying enough to scare the pants off everybody, exactly as they intended to. It doesn’t matter how cheap it is if it’s a waste of money. I’d be for launching this turkey if they would put Al Gore on it. Otherwise, instead of sending it into deep space, it should be deep sixed. Yeah, to advance Muslim relations, it would be better to park it in a location where it could continuously beam an image of a crescent moon. Actually, I’ve more than once posted that unless we have something like this, all the rest is meaningless. Of course, just one is NOT enough. Both day and night side need to be monitored, and I think a bare minimum of two, but more likely 4 such observers are required. Fortunately, we have 4 nice easy Lagrange points to park them in, preferably L1 and L2, but how easy IS it to actually maintain stationkeeping over long time periods? Aren’t STEREO sitting in L4 and L5? Can STEREO coexist with others? Do they slowly orbit each other? And I am sorry to continue the “bashing”, but any tech that’s been sitting on a shelf for 10 years is already hopelessly outdated. Just in the last few years we’ve got some absolutely incredible advances in SMD Gyros and inertial trackers and other stuff that would be SO useful for this application. When it comes to technology I think Al is clueless. Technology, science…. His cluelessness is monumental. The only thing AlGore is good at is scamming money from naive people. So it appears that this satellite could generate some useful information. Why is this a bad thing? We should try to eliminate any emotional reaction to Gore when evaluating this. There’s already enough junk clustered at the L nodes in erratic orbits that I give this thing a week before it slams into a billion-year-old rock and goes dark. The Gore effect will not be denied. Cool. How nostalgic to have a steam powered satellite chug it’s way into space! Lets just hope it’s wings hold up! It would be a really cheap launch, just use Al Gore’s hot air for fuel, it’d get there in a minute , escape velocity reached in seconds! What you said – I say to myself everyday I am on climate blogs. More measurements, better measurements. Mankind is warming the earth with his CO2 emissions. Ought to be an important thing to measure. Not estimate, extrapolate, interpolate, model, average, guess at, point to radiant physics, but actually pay attention to measuring. Also I too am just never-endingly astounded at the people that bag on Anthony for calling for better measurement. Scientists? Not by my measure. But I’m just an engineer so maybe I’m weird or something. Erm, let’s get some perspective here. $35 M is conservatively half a days worth of the subsidy given to the U.S.A by Canada due to the stranded Alberta Oil so really it is not such a big deal in the context of government spending of your hard earned tax dollars. There’s plenty of what passes for climate science to be cynical about these days, but I suggest that a full Earth-looking satellite is worth a careful look by all sides in the climate debate. Continuous imagery of the full, sunny side of Earth, along with simultaneous irradiance measurements, has major potential for more fully understanding the impact of cloud cover on Earth’s radiation budget. The complex roles of cloud cover, aerosols and water vapor are among the most important parameters that are not properly considered in today’s generation of global climate models, which failed to predict the relatively stable global temperature over the past decade or more in the face of a substantial increase in carbon dioxide. The 2K x 2K resolution of the CCD array is primitive by today’s standards, but it’s better than the total absence of a full-Earth sensor. Other sensors on this satellite also have merit, including geomagnetic storm detection. The bottom line is that instruments and measurements trump models, agendas, opinions, guesses and politics. I vote for instruments and measurements. wow. A laGrangian Orbit. Should outta have a pixel the size of Switzerland from that distance. Oooh! Fuzzy logic smoothing!! Enough to turn weather into climate! So it appears to have updated instruments and ready for the task of replacing ACE. I’ve seen a few satellites in my time, but I can’t recall seeing an uglier one. Apropos, for some reason. Each of the STEREO satellites are at L4 and L5 (that is why one data set is Forward and the other Rear). ACE and SOHO are circling L1 between Earth and Sun. The re-appropriated GoreSAT will be placed in L1 perpendicular orbit and face the sun. While Forrest M. Mims III has a valid point, I think that LandSAT is better suited for that mission. GoreSat can be used to locate deniers (who have Big Oil signs above thier heads) so we can destroy their compounds of denial. It will also be able to lock onto to heat areas like volcanoes to give precise readings which when a hockey stick smoothing filter are applied will show the whole planet is burning up as Saint Gore predicted. Personally as Saint Gore has invested so much of himself into this space craft he should personally accompany it when it is launched into orbit. * Heck even the Iranians are launchin’ monkeys into orbit these days! * this is not a ‘death threat’ but a sign of Gores commitment to the planet. I cannot take him seriously until he has launched himself into space to tell us “it’s worse than we thought.” I am sure Al will agree how limiting Earth can be for a giant ego that needs to be waaaaaay above everyone else. In real science the raw data is the holy grail. You always want more, and above all, more accurate data. The ad hominems and other nonsens are IRRELEVANT. Not just tasteless and wrong – they don’t matter! are the most important things to bear in mind for the whole of WUWT. I have in the past mentioned that the ONLY way to get valid data about the overall energy leaving the planet is to have a satellite watching it. A satellite with a very, very sensitive sensor, since the variations are going to be very, very minute. And the ideal resolution is 1 pixel per planet. However, it needs both DAY and NIGHT values, so would need to be at L1 and L2. The one at L1 can also be watching the Sun to get as direct as possible of a measurement at what energy is coming AT the planet. Thing is, the radiative theory people believe that CO2 is reducing planetary radiance, keeping more energy in the system, heating it up, making more severe storms, etc., and it needs to be shown that, while that value no doubt wanders around a LOT, there is no trend… and certainly that trend does NOT match atmospheric CO2. Or, if it does, I’ll finally have reason to believe that I’m wrong… which, incidentally, is something I’m always willing to admit if it can be proven. Contrary to the belief of many commenters, there is absolutely no credible evidence that CO2 has any significant effect, what tiny effect it might have is overwhelmed by other effects. Assuming the thing is refurb’d and modernized and ready to go, I’d still be more comfortable knowing that the mission has had every possible result anticipated, that it was not, for example, intended to simply “prove” a CO2 connection. That is the overall concern that many regular posters here have, and why it’s easy to mock the whole thing. (By the way, I love the old OS comment about Windows CE, Me, and NT). 160 x 100 if you want to run all 16 colors. Otherwise 320 x 200 in 4 color mode. It will download in merely a few minutes with the 4 kbit dial up modem. I vote for more, and better calibrated, high resolution, instrumented data on the Earth’s albedo. Putting this satellite up at a Lagrangian point will at least give us the possiblity of reaching that goal. My concerns are more practical, such as the risk of finding space junk (not necessarily manmade) in the point chosen. Updating the instrumentation would be nice, but I suspect not necessary if it’s already in the payload. Progress in rad hardening small feature ICs for space hasn’t be overwhelmingly rapid. Bigger transistors resist random radiation better than smaller ones, up to a point. The fact that old space technology regularly outlives it’s specified lifetime shows that, at least in that area, science and engineering have done an excellent job. Even the shuttle disasters showed, apart from bad go/no-go decisions, and failing to inspect the results of possible physical damage, that the technology is pretty robust. OK – what will this give us that the GOES (as well as METEO/GMS) satellites do not already give us? Nothing, of course. GOES already look at the whole hemisphere in visible (albedo), IR & they look at the Sun as well (solar weather). IOW, as many others have said, it’s not needed. Also, from the Lagrangian point, the satellite is not stationary from the Earth’s ground perspective like geostationary sats so tracking stations will need to be positioned around the world at several spots to have continuous data coverage. There is more money involved with this that just the building of a satellite. I wonder if they have thought *that* through? Teledyne Dalsa in Waterloo makes a 108 megapixel CCD. Maybe they could spring for one. By the way, people, ad hominem remarks are a big turn off. If only it was true. Sure hasn’t stopped Gore from screwing us. One small picture of the brute. I don’t see any optics. From a million miles away (remember the Plimsoles?) the earth subtends about 7 millradians, or a little less than the apparent width of the moon as viewed from the Earth. In the visible a relatively small camera will produce a pretty detailed and pleasing image. In round numbers the instantaneous field of view might be 7 mrad/1000 = 7 urads, or a patch on the Earth 7 miles across. The IR instrumentation I’m guessing would not include an imager, that’s big and needs cooling for return of very limited resolution. Maybe a collection of radiometers? Anybody out there that knows about this kind of thing? Better off to launch a $59 camera from Walmart. 16MP resolution with 8x zoom. Trying to exploit higher resolution by going with a big array means a larger aperture with longer focal length and with way more complicated optics. Bigger optics means more SWaP (size/weight/power). And at some point jitter and pointing control has to be upgraded. If the sat wasn’t designed with that in mind you can’t always add it after the fact. As long as we are fantasizing about data collection lets put a hyperspectral image on it.But back to the energy in energy out questions, what spectral bands would you want to measure? I know a little about simple radiometers, you want the detector to be at the extra pupil to integrate the object being measured across the detector area. Anyone know the radiometry? If the purpose of this satellite is to somehow improve data collection, then please explain why the 3 main temperature records ignore the satellite data? Why not incorporate the data you already have before asking for new data? Or is the real purpose to cherry pick, select the data streams that show what you want and ignore those that don’t? It seems incredibly strange to me that NASA has all these satellites for studying earth, but NASA GISS uses land and ship based temperature records to build their global temperature records, while ignoring the satellite data. One would think that they would have long ago switched over to using the satellite records as they are very likely much more accurate, give better coverage and can largely avoid the problems with urbanization affecting land based records. Why has NASA diverted so much money from studying space to studying the earth and then not made use of the best data available in creating their temperature records? I bet you, it’s programmed to beam hockey sticks down to Earth. If someone wants to launch a replacement for ACE, I’m good with that. If they want to put a camera to take visible light pictures of the Earth on the same satellite, that’s not a big problem for me. Continuous video isn’t necessary. One picture every 2 to 5 minutes should be more than adequate. Somehow I doubt that this mothballed satellite can be converted to this new task for less than the cost of building a new satellite from scratch. [snippage] By the way, people, ad hominem remarks are a big turn off. But it’s so fun! Besides of which, turnabout, as is said, is fair play. Damn thing looks more like an engineering bread board (that has been modded many times) then a real production system. Seth, your are totally off base with this. DSCOVR, the refurbished Triana (GoreSat) is positively vital for providing warning of an impending CME (solar storm) with the potential for destroying electric power grids around the world for years. DSCOVR will replace ACE, the only satellite providing that information, but it is well beyond its expected lifetime and col fail anytime. We are unbelievably fortunate that GoreSat was available to take on the indispensable role of ACE, whatever the cost (equivalent to shutting down radar network for severe weather warnings. I’m disappointed you did not investigate before posting this mocking article and placing on the same level as shutting off White House visitors. I hope you will update the article to avoid the total misleading tenor of the current article. Your pretty much wrong on every point. Anyway, it’d be cheaper to build a new bird then to try to retrofit this kluged rust bucket. It was a piece of garbage ,from the beginning, who’s only purpose was to provide a platform from which to launch propaganda. And this is what it will always be, despite what the Marxist ideologues running the National Academy of Science says on the mater. Desert Yote: You do not know of what you speak. It is not cheaper to start from scratch, but that aside, getting a replacement up for ACE is essential ASAP. A new start would have taken several years more – perhaps up to a decade – than going with DSCOVER. and leave Earth without warning of an event that quite literally would threaten life as we know it. I assure you this is far from an exaggeration. If you do not believe this start with the links I cited. BTW: this threat is much more likely than a meteor crashing into earth, which the President and Congress (mostly) are likely to fund at the cost in hundreds of millions of millions. I suggest you get beyond your obvious ideological leanings to consider the facts, which reflect the advice of all relevant experts on this subject. As far as I can tell from the info presented here, the money is to refurbish the satellite, not to launch it. An Earth-sun Lagrangian destination would require a dedicated launch of most likely an Atlas or Delta launch vehicle. That’s an addition of another $100 million or so. The Air Force has agreed to provide the launch vehicle given its concern about national security issues (solar storms can kill satellites, military included; render GPS navigation useless, think missile targeting; drastically disrupt communications; radiation hazards to pilots and space-station astronauts, etc, etc!!). The so-called fools in charge know what they are doing; the real fools are those who mock this without taking a! serious look of what this is all about..
Because the sun is so massive compared to the earth, the L1 Lagrange point is 100 times closer to the earth than the sun. In other words, direct observation of the sun will give us 100 times greater warning of a CME than a satellite at L1. Yes, it is closer for a good reason. Whether a Coronal Mass Ejection (CME ==> solar geomagnetic super storm) affects the Earth detrimentally or not is conditional on the relative alignment of the magnetic fields of the CME and Earth. If parallel, the effects will pass around the Earth – no sweat. If opposed, a CME geomagnetic storm can have disastrous consequences. And, the only warning of the alignment is from the L1 with the instrumentation aboard ACE and DSCOVER. 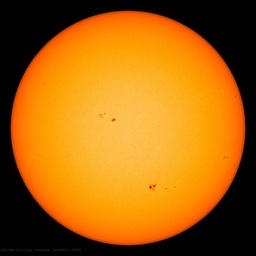 Direct observations of the sun cannot determine the alignment. They can tell whether a CME is headed towards Earth, but not whether it will be significantly consequential. Hah, I worked an quite a few NASA projects over 15 years, expertise in Level S qualification. What have you done besides soaking up propaganda? From what I’ve read, NASA is dusting off this satellite because it was nearly finished already and the money had already been spent. In fact, said an official from NASA, the main purpose of the satellite will not be what was originally intended, but to detect large solar flares before they hit earth so we don’t have a nationwide permanent blackout. The satellite currently up there is already past its projected life expectancy. OK, let’s add that he leases a zinc mine near a stream on his Kentucky property that contributes a substantial amount to pollution in said stream!!! He got his 1/2 mil rent and NOW wants the miners to work with enviros!!! I guess it isn’t pollution if no one is blowing the whistle on you!! Maybe they can put Al inside it and ship him off to outer space. Whilst agreeing that two or better four such satellites are needed for good coverage one is better than nothing. The latest IEEE Spectrum has an article on this, http://spectrum.ieee.org/energy/policy/protecting-the-power-grid-from-solar-storms. Other than the usual gratuitous swipe about it being “grounded by politics and a change of administration” (I wonder which century it will be before some of us will stop blaming George W. for absolutely everything? ), it points out that some suspect parts were found on the initial refurbishment, but doesn’t say whether they were faulty from the start. It also claims that no new instruments needed to be added for its new life. Would be cheaper to put em all on food stamps and a “well” fare stipends, plus . . . it doesn’t take a rocket scientist to figure that out . . . . commonly known as apportionment of taxation revenue. US govment can keep all the IP and sell the unit to AL, and he can sign one of those “standard” agreements that allows his new (silent partner), the US govment, to monopolize the IP, resulting patents, and anything new that is developed from his little endeavor for future revenue streams . . . . it’s a win/win the US gets some revenue, and potential revenue for patents etc . . . . And AL Gore . . . . he can prove his patriotism and help America pay down her debts . . . . and put his money where his mouth is. AL . . . AL . . . . ??? Isn’t this a swell idea?